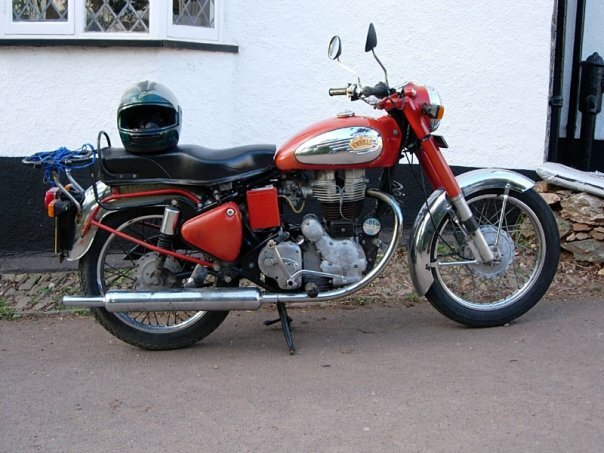 My Enfield Bullet 350cc – it hung out with tigers in India before being shipped to the UK. Too exhausting for me to ride these days (high-compression kickstart, no electric starter), so I need something lighter. If you’re interested, get in touch. Very low mileage, very good condition, barely ridden since last MOT. £600 ono, will consider exchange / swap for another motorbike.